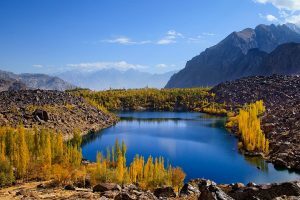 Gilgit–Baltistan formerly known, as the Northern Areas is the northernmost territory of Pakistan. It borders the territory of Azad Kashmir to the south, the province of Khyber Pakhtunkhwa to the west, the Wakhan Corridor of Afghanistan to the north, the Xinjiang autonomous region of China to the east and northeast and the Indian controlled Jammu and Kashmir to the southeast. 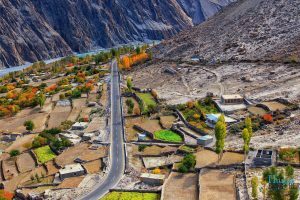 Gilgit–Baltistan is an autonomous self-governing region that was established as a single administrative unit in 1970, formed by the amalgamation of the Gilgit Agency, the Baltistan region and the former princely states of Hunza and Nagar. It covers an area of 72,971 km² (28,174 mi²) and is highly mountainous. It has an estimated population approaching 1,000,000. Its capital city is Gilgit (population 216,760). Gilgit-Baltistan is home for the highest mountains, long glacier and beautiful villages and valleys. 07 Drive to Skardu – Overnight in Hotel. 08 Drive to Khaplu – Overnight in Hotel. 09 Drive to Hushe Valley – Overnight in Hotel. 10 Day to explore around – Overnight in Hotel. 12 Drive to Gilgit – Overnight in Hotel. 13 Drive to Phandar Valley – Overnight in Hotel. 15 Day to explore around – Overnight in Hotel. 17 Day excursion to Khunjerab Pass – Overnight in Hotel. 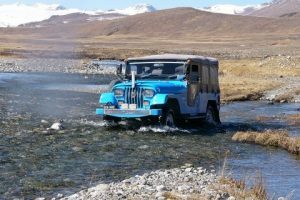 18 Drive to Shimshal Valley – Overnight in Hotel. 19 Day to explore around. 20 Day excursion to Chipurson Valley – Overnight in Hotel. 22 Drive to Islamabd – Overnight in Hotel. 23 Day to explore the twincity, in the evening drive to the airport and fly to your destination.